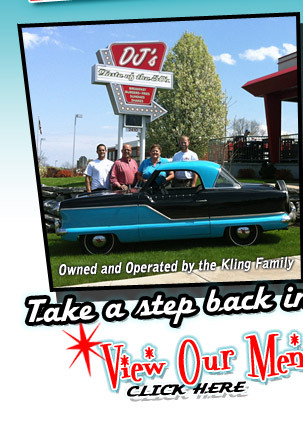 Our first cruise of the year is Sunday, April 28th! 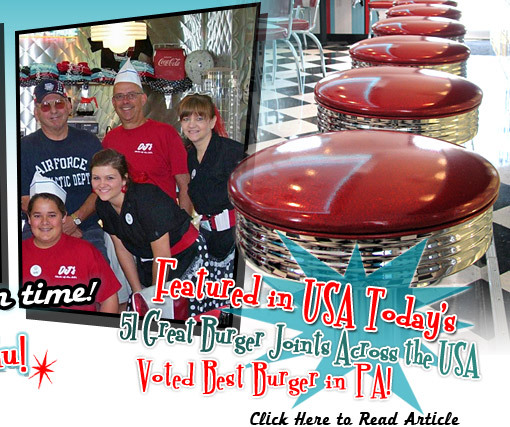 If you are looking for a great dining experience at one of the best restaurants in Lancaster, PA, DJ's Taste of the 50's restaurant offers tried and true diner favorites, such as burgers, fries and shakes, as well as more traditional fare on our full breakfast and lunch menus. Whether or not you experienced the 50's first hand, DJ's Taste of the 50's restaurant is a great dining option that ALL ages will enjoy! 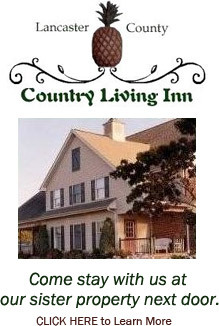 Our diner is located along Route 340 just outside Lancaster and en route to Bird-in-Hand, DJ's Taste of the 50's family restaurant is minutes from local Pennsylvania Dutch Country attractions, shopping and lodging. Start your day with a quick breakfast at our diner, plan on burgers & fries for lunch or drop by any time for an old-fashioned sundae or shake as a tasty treat. Soups, salads and lighter fare are also available to round out the dining menu. 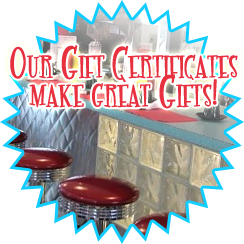 You'll be delighted by the 50's diner style furnishings, menu selections and outstanding service reminiscent of the good old days. Don't just take our word for it. Check out what our customers are saying about one of the best restaurants in Lancaster, PA.
Voted one of the best family restaurants and diners in Lancaster, PA stated by Lancaster County Magazine! This site's website design and hosting provided by EZMarketing, Lancaster, PA.